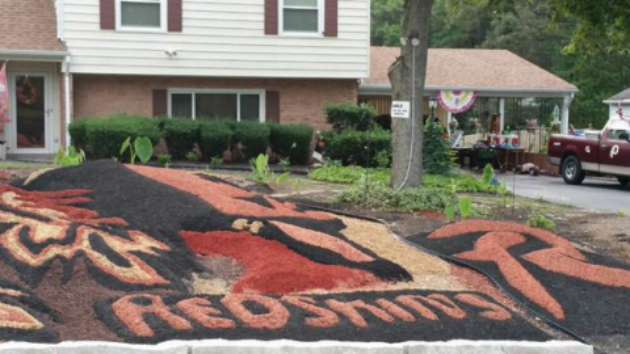 A Redskins fan who has been decorating his lawn to support the team for the past six years has outdone himself with his landscaping homage to the team for the 2015 season. 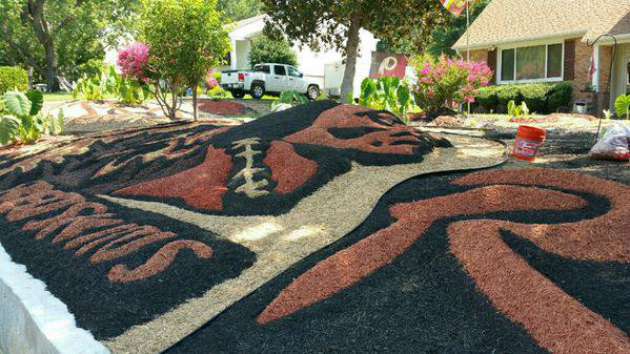 Clevane Gillespie Sr. has crafted an ode to his favorite football team using a variety of mulches to recreate the team’s logo on his front lawn, creating a 3D effect for the shrine, according to CSN Washington. "Each year, I make it more unique," Gillespie said in a phone interview about his lawn. "First it started flat. Then each year, I raised it by a foot. Then I put it on a slant. And then I asked myself, 'Let me see if I can do it in 3D.'" The diehard ’Skins fan tells CSN Washington that he took around three months to finish this year’s relief of the logo, and that he took on the majority of the work by himself. Gillespie is also optimistic about the team’s chances this season, saying he expects Robert Griffin III to be back to his best form, and the team to have a 10-win season.